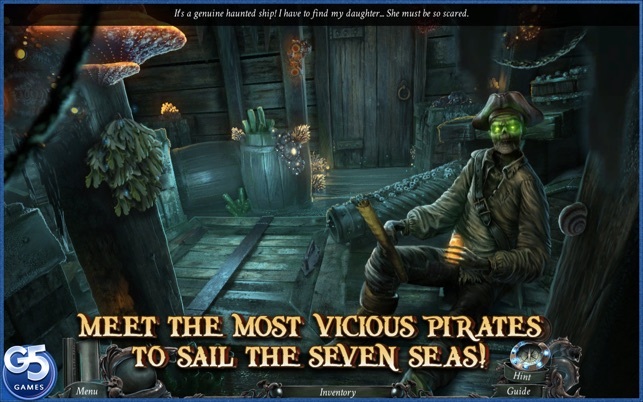 This year's enthralling pirate adventure game just got that much better. 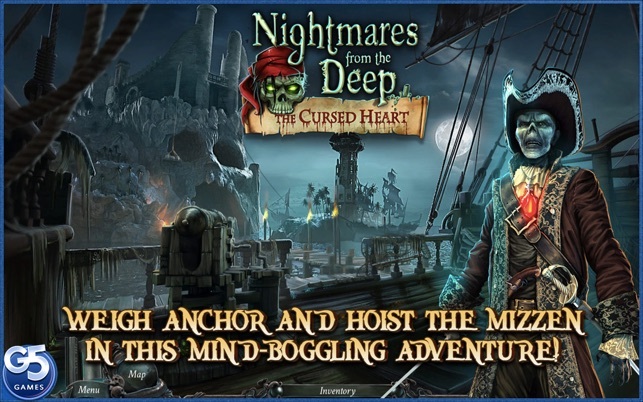 Travel through haunting seas, ruined fortresses, and bone-covered catacombs as you uncover secrets from the past! Great game, bad spanish localization. But the spanish translation could be better. Everything is translated into spanish except the voices, so the developers made quite an effort. But the quality of the translation is bad: there are numerous mistakes (e.g., "the pirate is bold" is translated as "el pirata está calvo" (the pirate is bald) instead of "el pirata es valiente". Also, they call a water tap a "tapa" when it should be "grifo"... These numerous mistakes make the game hilarious occasionally and very frustrating most of the time, because you never know what object should you really be looking for, or what does the story mean). Finally, I can't change the language of the UI, which would have fixed everything for me. So, the game deserves five stars because how beautifully made it is, but gets three because the poor spanish translation. 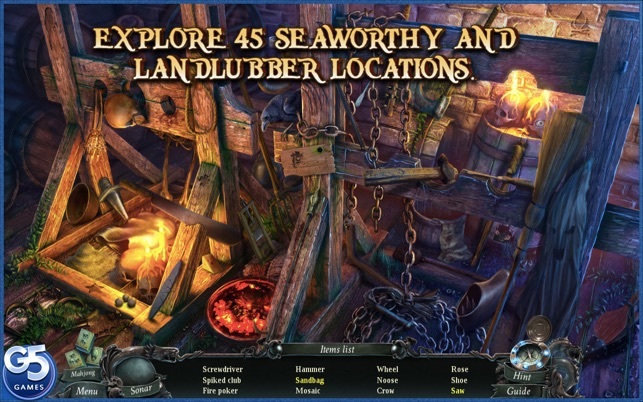 I have played a number of the G5 hidden object/puzzle games, and this is one of the best. 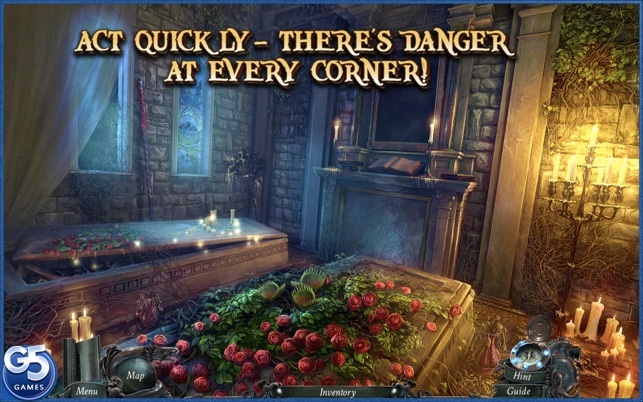 The hidden object sessions are not too difficult, and object relate more or less to the story, not always the case. 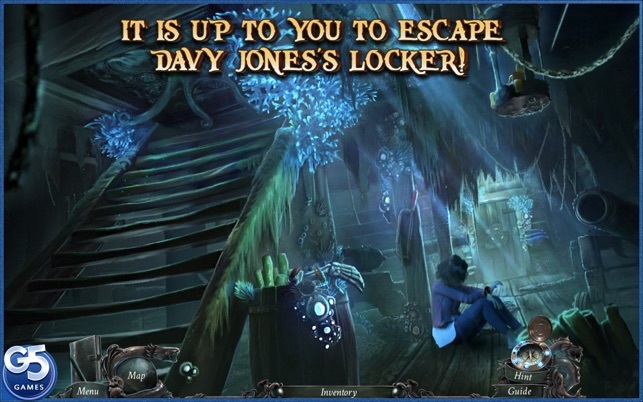 Many of the puzzles are unique to this game, unlike other games that have had rehashed puzzles, though some are the same. The story line is also quite clever. Graphics are getting better, though some are awkward, like the lip sync and the disappearing coins in one seen. Yet they are getting better each time. The only annoying parts are the daughters voice at times and even the mother often speaks in a way that does not seem appropriate to the scene. In any case, this is a good game to spend some time on for fun and story. I just finished “Left in the Dark - No one on Board”, which was a great game, and I gave it 5 stars, however, what I didn’t mention was that I didn’t do a review the first time I was asked, and then the review screen kept popping up occasionally. Now I’ve hit the first one in this game, which so far is a little less challenging than I had hoped, but the review screen is here, interrupting my game. Hopefully, I won’t be interrupted again, and I’ll update this review when I have finished the game. 1 thing I can tell you is unlike “Left in the dark….” this game does not have a navigable map. That is SUCH a luxury that makes these games so much better.